I got a request from BudgetBeautyGoddess to do a post on my fall favorite polishes! This post is going to be in 2 parts. I'm going to organize these by color families. I've combined some color families, simply to save time. I also tried to use my best judgment on some colors, considering some colors could lean more purple, more brown, more pink etc. I just threw them into what category I felt fit. In addition besides for listing my favorites I'm going to list other recommended colors that are in the same family. These colors I all own, so of course there are many unmentioned that are great too, I just don't own them. All of these colors I list are easily available either in drugstores, beauty supply stores, or online, and of course they are all under $10! Obviously, these are just recommendations, and you can wear whatever colors you want in fall! Color Description: A taupe/purple grey creme. 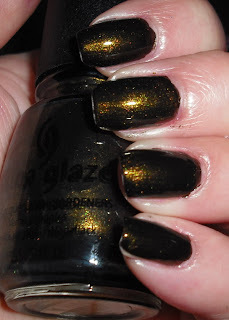 Color Description: A deep blackened base with gold/olive shimmer. 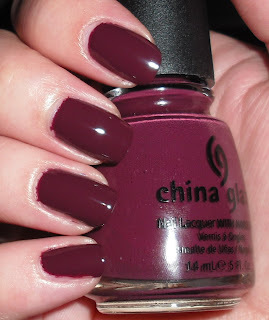 Color Description: A deep plum/aubergine creme. Color Description: A deep teal creme. I hope you enjoyed this post! In the comments please leave some of your fall recommendations for these color families! :) Part 2 will be posted tomorrow! ski teal we drop is an amazing color! i'm loving that somewhat-muted blue right now. 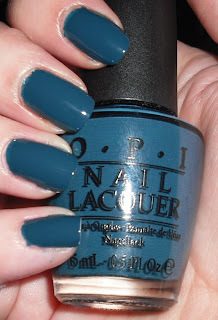 OPI Ski Teal We Drop is definitely a new fave of mine too and perfect for fall. OMG Wagon Train made me SWOON! Love it and I'm going to look into the other colors you suggested. I have and have worn OPI Ski Teal We Drop and I still don't know how I feel about it. I also have Gliterzland and I'm not too crazy about that either. I got them with my Ulta point for free and, I don't know:( Maybe I'll try Gliterzland over Ski Teal We Drop? What a great information-packed post! Thanks for sharing these. They are all amazing, but the Zoya is so beautiful! Great fall colors. Good variety. I like your taste for fall nail colors. I can't wait for fall to arrive. I'm over this heat! Aggie-Go for the bright pink or red anytime of year! Whatever makes you happy. Steph- It's a great color. I agree I love the muted blues too. You would also like OPI Suzi Says Feng Shui too. Justine- It's such a great teal! BudgetBeautyGoddess- Wagon Trail is such great color very interesting too. Give Glitzerland over Ski Teal We Drop a try you never know it could be a winning combination! Sylvia- Thanks. Zoya is probably my favorite brand of polish. thegirlwithabow- Kotori is gorgeous it would be nice for spring too. Leslie- Kotori is extra special. :) Thanks! Kimberly- Thanks. I am SO over this heat too! Nice colors. Wagon Trail looks alot like my Avon Golden Twilight polish. I've been wanting Metro Chic and Ski Teal We Drop for a long time! Thank you for sharing! I must say, I like the plum color the most. It looks nice!